Manufactured in Japon from Circa 1990 until 0. BF, of course for Big Finder, thus named with Canon cameras. 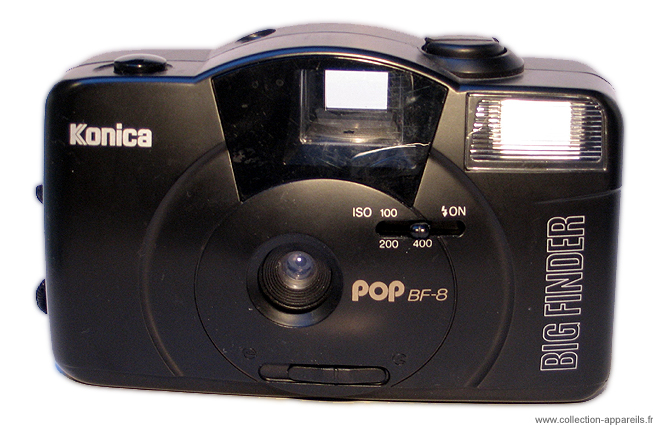 It seems there has been at the end of 90’s, a fashion for disproportionate viewfinders on bottom-end compact cameras. Bottom-end, because the lens is fix-focus, 6/35mm with three independent elements (a triplet), the setting of the sensitivity is manual and limited to two choices (100-200 and 400 ISO). The advance and rewinding of the film is entirely manual. The electronic built-in flash is to put on manually.